This is the ideal destination for a relaxing break or that special occasion you have been planning! 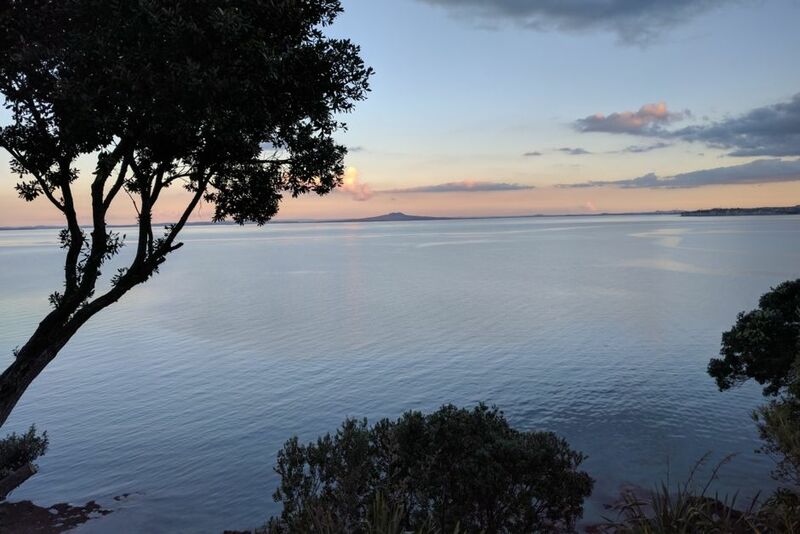 It is perfectly suited as a resting point, if you are touring the country, with easy access to some of Auckland's best beaches. Also an easy destination for that break from the city, with all it's hustle and bustle, and is easily accessed by the motorway (45 mins from Auckland CBD - in non rush hour traffic!) or from Gulf Harbour Ferry (collection from ferry terminal can be arranged). The ferry arrives at the Gulf Harbour Marina, which is well worth a visit (only 10 minute drive from property). The other attractions of the area include (as mentioned previously) fantastic beaches (at least 3 or 4 of these within 5 minute drive from property), along with local shopping mall and spectacular restaurants for those lazy evenings. If you are a fitness buff, there is a leisure centre (also only 5-10 minutes drive or 20 minute run!) with a pool, and other facilities. The topography of the Whangaparaoa Peninsula also offers challenges for those uphill runs or biking, with spectacular views all along the way!! The major attraction of this destination, however, is without a doubt, the outstanding views which almost instantly, compel you to stop and drink in the wonder of it all!! It provides that resting place which allows you to catch up with yourself and/or your partner/family, and to recharge those batteries. Perfect for a couple or 4 people. Great destination for a family breakaway . The rooms are on the ground level of my house (not a detached dwelling). This place is gorgeous! The view is stunning, the beds are so comfortable and the homely touches like the homemade cookies were the icing on the cake. Thank you so much Denise. We’ll definitely be back. We had such a great stay at this property, Denise has thought of all the little things to make for a comfortable and relaxing stay. Will definitely recommend to everyone! Serious "wow" factor ocean views. The amazing ocean view truly has the "wow" factor in this wonderful gem of a place. Modern and stylish, with 2 good sized bedrooms, the unit covers the lower part of a house. Located in a great spot so close to everything yet feels miles away in your own private oasis. Watch the sunrise from the master bedroom, without even getting out of bed. Thank you Denise, your extra touches made us feel very much at home and were greatly appreciated. Definitely highly recommended. We had such a great time staying in the Whangaparaoa Retreat. We had such a great time staying in the Whangaparaoa Retreat. Absolutely unbeatable views, straight out to sea. Very comfortable accommodation - best bed I have ever slept in apart from my own. Great hospitality from Denise, with little welcoming touches of her own. I would stay here again in a heartbeat. Recommended? Absolutely! Just make sure you leave enough time for me to stay again as well. Would definitely return to this place. Thanks so much, Denise. Thanks Denise for having us. Thanks Denise for having us. The house and the location were amazing : we enjoyed the view, the deck and the overall calm and beauty of the house. During the day we spent the whole week-end to walk around at the national park and the reserve. On Saturday night we enjoyed to watch a movie and playing board games with cookies Denise made ! I can't say enough about this place - one of the best I've ever stayed in! I can't say enough about this place - one of the best I've ever stayed in! Breathtaking views, very clean and modern, with all the amenities. Denise even left us a card and some treats - such a nice touch. Beds were comfortable, lots of DVDs and books to choose from, and located close to shops and restaurants. We used this as a base to explore Tiritiri Matangi Island for the day. Only a 10 min drive to the ferry. A perfect spot!